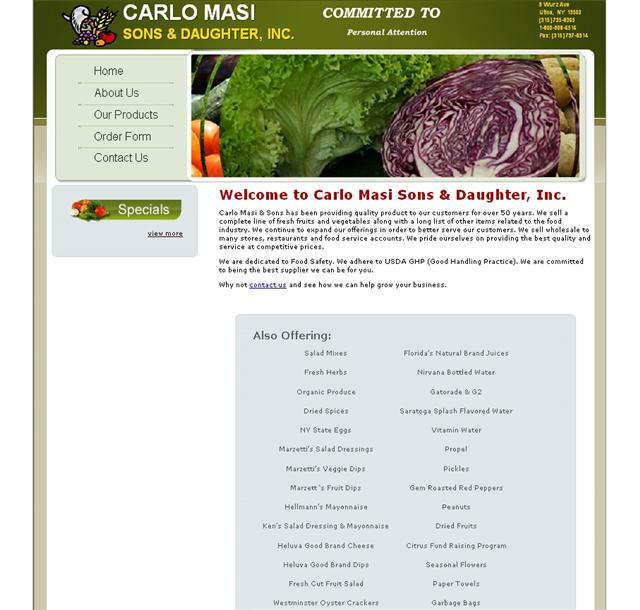 CUSTOMER : CARLO MASI SONS AND DAUGHTER, INC.
Carlo Masi Sons and Daughter, Inc. was started in 1958 by Carlo and Elizabeth Masi. Prior to starting the business Carlo worked with his Father Vito as a house to house peddler. They also sold food to many local migrant workers. Upon graduation Carlo started selling to many local stores and foodservice customers. As the world and technology changed, so did our business. We were the first company in Central NY to have refrigerated trucks. In 1980 a warehouse was opened in Utica. As the family grew, the children became involved in helping the business grow in many ways. The business continues to expand its’ offerings. It is now managed by five of his seven children.